Negroponte Moots Windows XP Version of OLPC—Is It a Case of So Long, Sugar? 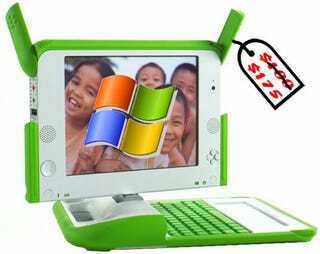 The founder and chairman of OLPC has admitted that only using open-source software has not been good for the project. Just a day after the resignation of group president Walter Bender, Nicholas Negroponte admitted that the choice of the Sugar operating system has hit the XO laptop project in two places: usability; and popularity. With Windows XP already available for the XO on an SD card, the news that future OLPC machines may have Windows XP, with Sugar running on top, may dismay the non-profit brigade. But with no support for the latest versions of Flash—a staple on many educational websites—the XO may not be catering to its supposed target audience.